INDIANAPOLIS -- Police are investigating a deadly shooting on Indianapolis' northeast side as a homicide. A person's body was found in the 2800 block of N. Stuart Street at about 6 a.m. 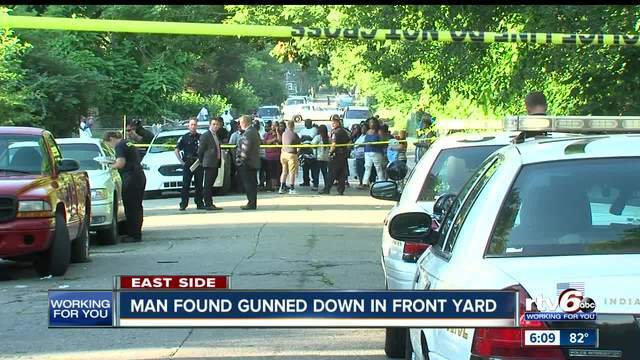 When officers with the Indianapolis Metropolitan Police Department arrived, they found a man with gunshot wounds in the front lawn. He was pronounced dead at the scene. He has been identified as Eric Averitte, 46. A police spokesperson has called for the community to speak up if they know anything. "We need them to be our eyes and ears, we need them to come forward to let us know and make sure this doesn't happen to somebody else. so we can get justice for this victim and his family," IMPD Commander Roger Spurgeon said. If you have any information that could help, contact CrimeStoppers at 317-262-8477.